Periods of unemployment are common in today’s economy. Providing income support when workers lose their jobs helps child well-being, improves the chance workers will find a job that matches their skills, and strengthens communities as the jobless spend resources for necessities in their local economies. Two programs in Montana provide income support to adults without jobs: Temporary Assistance to Needy Families (TANF) and Unemployment Insurance (UI). However, neither program is fully geared toward a 21st century labor market in which workers are also caregivers and jobs are more insecure. While TANF poses its own set of challenges in providing adequate support for families experiencing poverty, the program and tribal TANF in particular, do provide insight into how a program can be structured to take a two-generation approach. As a critical benefit to families and the economy, UI needs to include a two-generation approach to effectively support today’s workers. With the majority of women as well as men in the workforce, work and labor market conditions are inextricably linked to the well-being of children. Studies demonstrate that inadequate family income and economic uncertainty can negatively affect children physically, socially, emotionally, and academically. But research also shows that increasing a family’s economic resources can positively affect child development, especially for younger children. Increasing parental income through employment and earning supplements has consistently shown improvements in school achievement among elementary school-age children. Other studies have also shown links between increased income and improved school readiness in young children. To create economic security and stability for children going forward, we need to design an unemployment system that accommodates contemporary work and parenting patterns. 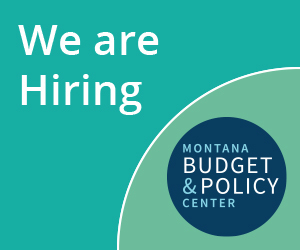 This brief is the second in a series to assess how Montana can improve the lives of children by investing in their parents when they are unemployed. Read our second report - A Two Generational Lens on Unemployment: Why Family Income Matters for Children.